Unique are thrilled to announce the appointment of Matthew Wordsworth, who will be joining the business as the new Partner and Director of the brand’s Hessle salon. 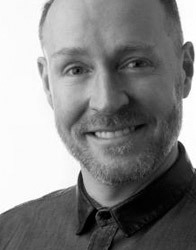 With a career spanning over 20 years working in hairdressing, both in the UK and internationally, Matthew Wordsworth brings a wealth of experience with him to his new position. Matthew completed his hairdressing training in Leeds with Vidal Sassoon before moving to Hull to work with Unique’s Director, Allan Smith, at former company Lifestyle. Recognising his true talent, Matthew was approached by Aveda to work for them at the Aveda Institute in New York City’s trendy SoHo district. Back in the UK, Matthew was stationed with Aveda at Harvey Nichols’ high-end Urban Retreat salon under Antoinette Beenders and David Adams, and immediately began forming a glittering celebrity clientele. After spending the last nine years working for himself back in Kirk Ella, Matthew is looking forward to working with his new team and the new opportunities the role will bring. Matthew will be joining Hessle as part of a new management team, working alongside newly appointed Salon Director/Salon Manager Ellis Roberts, who joined the company at the beginning of the year, after working as an ambassador for Wella in her home town of Malmö in Sweden, as well as working at London Fashion Week. In celebration of Unique’s 10th Anniversary, and the brand’s continuing growth, there will be a new management team in Hessle. Together Matthew and Ellis will be at the forefront of the development, and will be using their wealth of expertise to continue and further Unique’s growth as a brand, and make Hessle a hairdressing hub for the East Riding Area. Matthew will be begin in his new role on Monday 18th April 2016.